As we enter the hottest (and for me hardest) time of the year, I am grateful that we have peaches. Tasty fruit that I can sink my teeth into and lick the juice off my chin. We got more peach talk on the blog today and we are hitting on one of the most important peach questions of the summer. It’s going to be peachy ? In case you are just tuning in, welcome to our Person Peach Series. 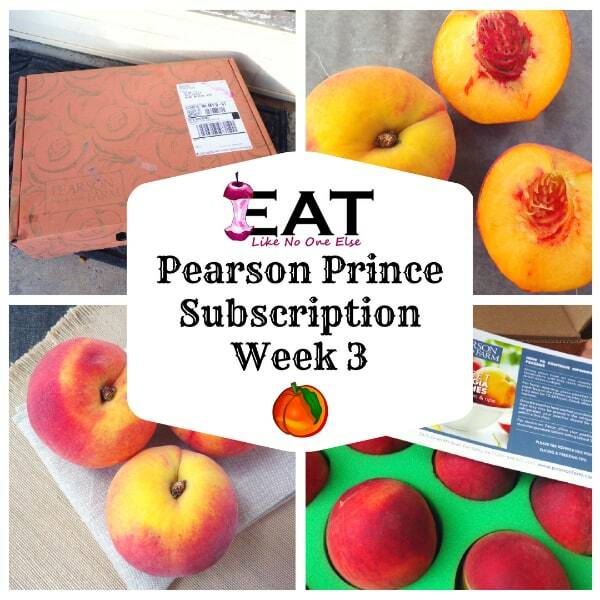 This summer I am receiving 6 boxes of peaches from Pearson Farm near Fort Valley, Georgia. Each box will contain a different variety of Prince peaches. It’s a fantastic way to experience the different flavors, textures, and colors of the peach. In this series I am getting to try 6 varieties of peaches. That is only a small sample of about the 50 varieties of peaches that are grown at Pearson Farm. 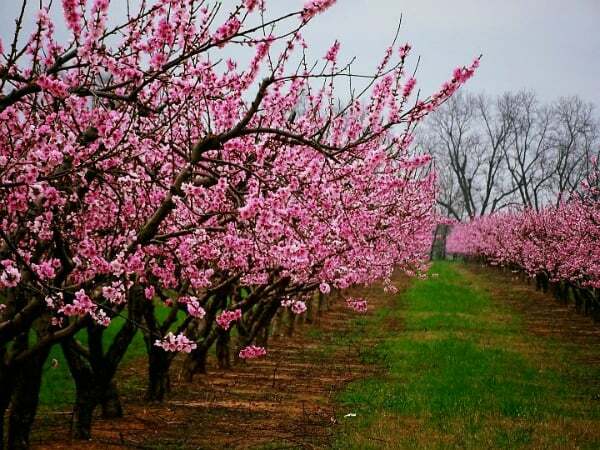 And that 50 is only a fraction of the peach varieties grown in the U.S. Often you will see different varieties grown in different parts of the country because they do best in a certain region. The peach varieties in Georgia are different than the ones California grows or my native Michigan grows. Scarlet Prince peach pit wasn’t too hard to remove. A little bit of the flesh still stuck to one half of the pit. There is a card that comes with every single box of peaches I receive. The card promised me incredible flavor. A bold promise to make, one that you certainly must meet. I did some research on Scarlet Prince online to see what others were saying. 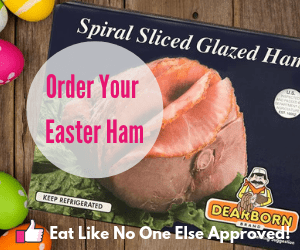 I keep hearing the same thing – great flavor, incredible flavor, super flavorful. So I was more than ready to give them a try. No disappointment here. Scarlet Prince is the most flavorful peach in this series yet. The peach flavor is balanced with sweet and acidic notes. And yes there was juice dripping down my chin. What beautiful blooms the Scarlet Prince Peach produces. Photo courtesy of Pearson Farm. Scarlet Prince is known for more than just flavor, it’s not for it’s bloom. Each spring the trees burst forth with beautiful red-tinged flowers that I would love to see and smell first hand. For now I will have to settle for the photo above from Pearson Farm. I would say Scarlet Prince are a pretty peach! I don’t know if you have noticed this but peaches seem to be most flavorful towards the bottom. I typically start eating a peach from the top and then move towards the bottom. It seems without exception that the flavor of the peach is better as I move down the fruit. One reason for that could be that the bottom part of the peach will get the most sunlight. Peaches tend to be darkest in color at the bottom. It was one of the reasons why when I worked in produce we always stock the peach top side down, to show off that beautiful color. The reason the bottom of the peach is more colorful is because it receives more sunshine. The leaves tend to shade the top parts of the peach. Sometimes you can find a peach with a leaf imprint in it – those are really fun to show the kids. To peel or not to peel. Let this be a question no more. Do not peel. There is no reason to peel the peaches for pie. When you cook them the skin softens up not to be any issue at all. I have cooked many of pies and cobblers with the skin on and not once did it bother me. It’s a great thing not to have to peel peaches for pies. Saves time and energy. And I love avoiding nicking myself with a peeler. The skin of the peach will add color and flavor to the pie. 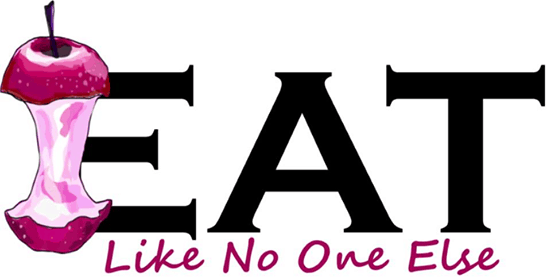 There are nutrients found in the skin you don’t want to lose – gives you an excuse to say that pie is healthy! RELATED What to Do About a Peach Fuzz Allergy? A peach cobbler all for yourself! 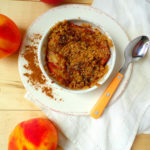 This week I am here to give you a great revelation – you whip up a single serving peach dessert with just a single peach. Woo hoo! 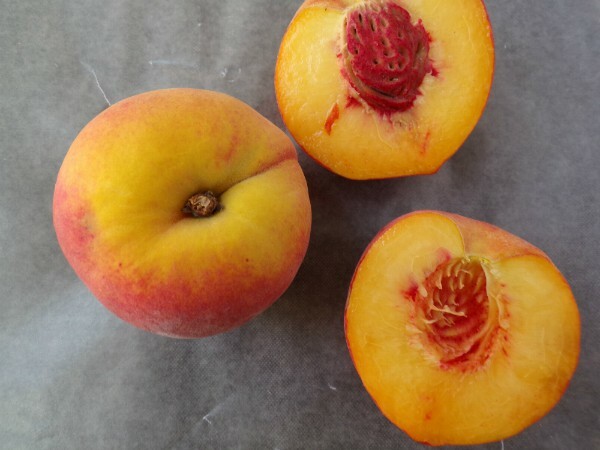 You just place a peach (unpeeled of course) into a ramekin or a small baking vessel. And sprinkle on a topping simply made of flour, brown sugar, and butter – a delightful easy yet wonderfully tasty combination. 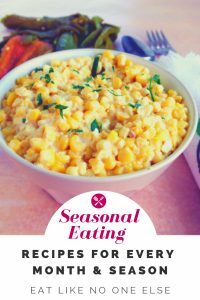 You can try it with white whole wheat flour or a combination of all-purpose and white whole wheat flour. Or you can sprinkle on some oats or nuts on top. Or maybe grate some fresh ginger onto the peaches. Really the sky is the limit and you can let your creativity soar. If you want more than one you simply can times the recipe by how many you like. Grab your favorite ramekin and give this quick cobbler a try. Half the peach in half. Remove the pit. Slice the peach without peeling the skin. Place the peaches into a ramekin or small baking vessel. In a bowl, combine the flour, brown sugar, and cold butter. Works the butter into the flour and sugar until the mixture is crumbly. This can be done in a food processor was well. Add cinnamon to the peaches and some a little bit of brown sugar if you like. Add the sugar/flour topping onto the peaches. Bake for until golden brown on top about 15 minutes. 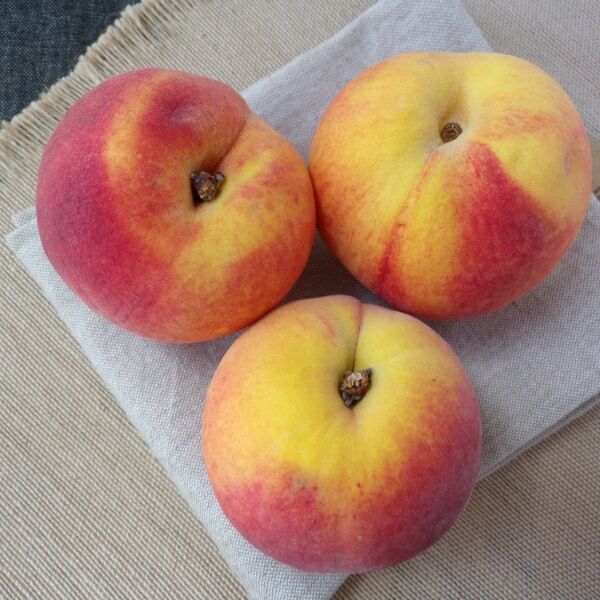 We have tried a few different peaches from various regions and found the ones from Colorado are exceptionally good. Love your comments on the peach and all the blog work involved. Your articles are always good reading, to me anyway. Maybe next year you could take a vacation down to where your favorite peaches are grown and bring back a bunch of lugs!!! Bet you’d have no trouble selling them from your home. WE LOVE peaches and anything we get from our garden. Right now peas, beans and cucumbers dominate the choices. Need to make some pickles this year. Happy peach eating. I am jealous! lol Did not make the recipe yet so can’t give you a rating on it. But if I can get my hands on some worthy fruit I will try it. Thanks for the kind words as always! I have heard great things about Colorado peaches. I need to go and try some some day. We actually grow a fair amount of peaches here in Michigan. I always take the kids peach picking each year.